Senior Software Test Engineer with over 7 years experience. Subject matter expert and advanced working knowledge with Loadrunner, Performance Center, Quality Center, and Quick Test Pro. Lead performance and functional tester of highly complex web applications for the Federal Reserve Bank of Richmond and U.S Treasury. Consistently provide high quality performance testing services, processes and documentation. Leader in software performance quality control process improvement and consistently operate at our departments certified CMMI Level 3 standards. Organizes and performs various types of testing to include functional, integration, system, and regression testing. Designs, maintains, and executes manual and/or automated test scripts related to functional, integration, system, and regression testing. Manages defects by recording, reporting, analyzing, and tracking defects to resolution. Identifies and documents testing strategies and approaches. Consults with development teams to identify, reproduce, resolve and retest defects. Designs and maintains testing process documentation, plans, and strategies. Performs test data analysis and drives the setup and verification of test data. Participates in requirements gathering sessions and converts requirements into comprehensive test scripts. Plans and estimates testing efforts in collaboration with project management. Provides testing status information to management. Manage all aspects of performance testing engagements for web applications including: planning, requirements gathering, developing performance scripts and scenarios, isolating code and infrastructure bottlenecks, reporting, and recommending solutions. Coordinate, execute and monitor software performance engineering engagements. Publish software performance engineering reports for performance engineering engagements. 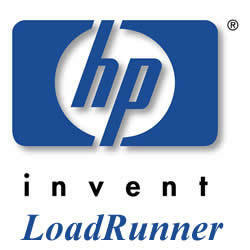 Administer HP Mercury Loadrunner to support software performance engineering testing. Evaluate software functionality for performance risk. Determine and document software expected user usage and workload. Determine and document performance requirements and criteria for responsiveness and capacity. Document purpose and scope of performance testing engagements. Document test execution plans and schedules for the testing engagements. Develop and build the performance testing scenarios and scripts. Coordinate, execute and monitor performance tests. Execute the following types of performance tests to measure software performance; baseline, benchmark, contention, volume, stress, failover, endurance, scalability and availability tests. Analyze and compile results from performance tests. Identify performance bottle necks in the software. 5 + years web application functional testing with Quality Center. 5 + years of Quality Center administration. 5 + Quality Center development for software testing workflow processes and software development life cycle management. 7 + years of performance test engineering experience for web applications. 7 + years C/C++ script development experience with Vugen for Loadrunner and Performance Center. 7 + years performance test scenario design and developement with Loadrunner and Performance Center.